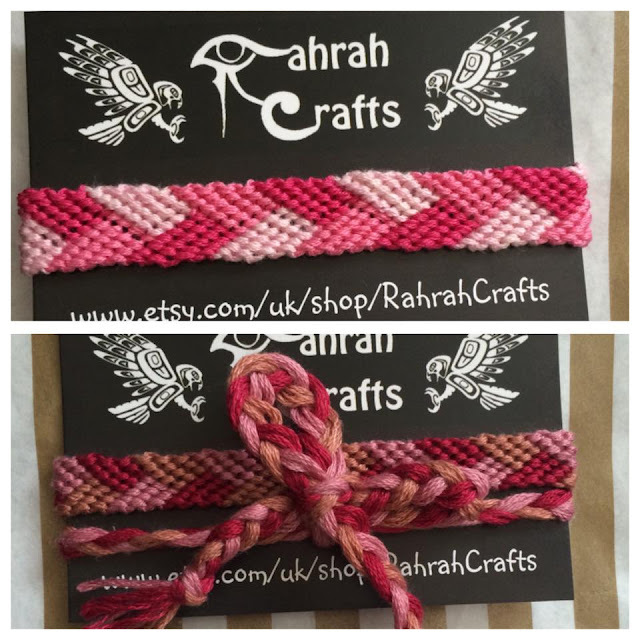 I received my order from Rah Rah Crafts today and I am totally blown away by how beautifully made the bracelets are! Sarah surprised me with one of them which was a custom bracelet. 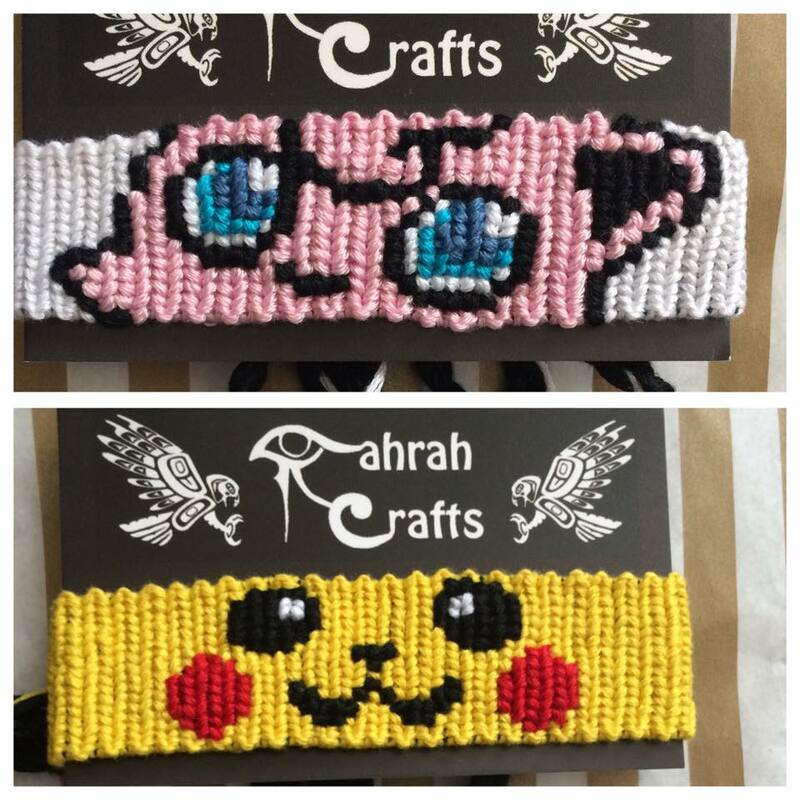 I just told her that I love pink and cute things and as I'd already ordered one Pokemon bracelet I guess she put two and two together and made me a JIGGLYPUFF bracelet - aaaaaww!! These are so precious and precisely crafted. I am ridiculously pleased with them and let out a little cry of joy when I opened them up. They have a little woven loop fastening in the back which is lovely and secure. I also ordered a pink woven bracelet and a berry coloured woven anklet. I love wearing anklets in summer, they look so cute with rolled up black jeans and some cute canvas shoes. Or when I'm chilling in my bikini and flip flops! Although I'm going to be sad going in the pool with this one as I don't want to ruin it.. I usually just wear cheap ones from souvenir shops when I go abroad but this one is gorgeous. It's nice and comfy and isn't itchy whatsoever - I hate itchy things and this is definitely not itchy. Please check out Rah Rah Crafts on Etsy, Sarah does custom orders!